Having an unsmellable litter box in our home is a must. 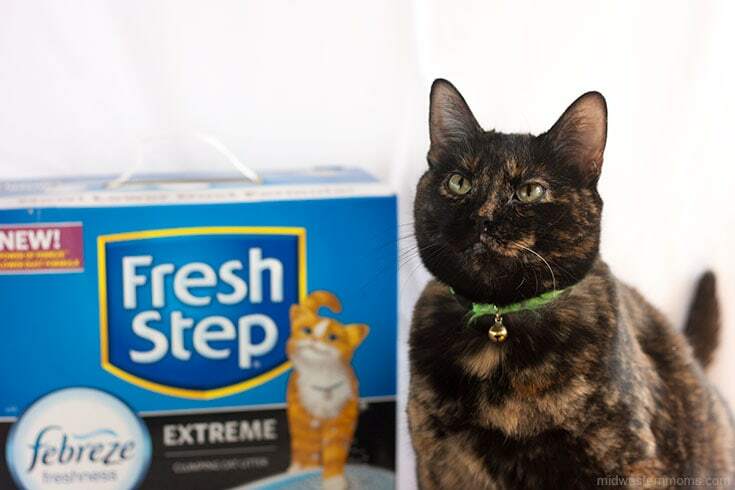 With the help of Fresh Step® with the power of Febreze™, we are able to achieve a happy home that has no cat box odor. When we first took Miss Kitty into our home, my biggest concern was the litter box. (Read Miss Kitty’s Story here.) Litter boxes are stinky and I didn’t want to clean it – hence why we didn’t have a cat before Miss Kitty. However, when she melted my heart, I could not say no. We have tried several litters and those litters didn’t stand up to our expectations. However, once we tried Fresh Step with the power of Febreze, there was no going back. This was the litter that made us and Miss Kitty happy. Our main reason for loving Fresh Step with the power of Febreze: It has a 10-day Odor Control GUARANTEE! And, yes it really does control odor! The clumping power of Fresh Step with Febreze Freshness is awesome as well! It locks in liquid and odors on contact. The tight clumps make for easy litter box cleaning. Also, this litter is low dust formulated. Less dust means cleaner air and surfaces!! 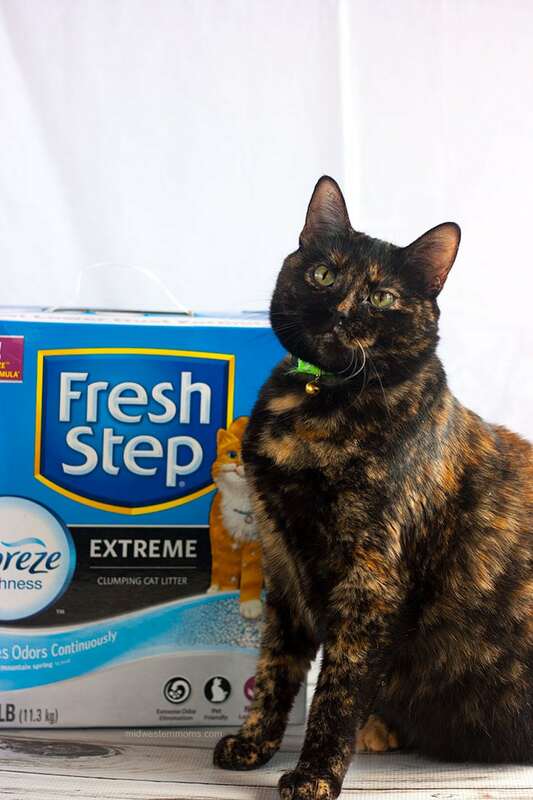 Fresh Step with the power of Febreze Miss Kitty Approved! Getting Fresh Step with the Power of Febreze is easy. You can get the litter at Pet Smart, which is where I picked up our latest box. Need help finding the nearest Pet Smart Location? Check out their store locator find the closest store to you. So, we have a happy home with Miss Kitty now. She loves to cuddle and “help” me with my blog projects. She is a sweet girl and we are happy to have her in our home. Even when she high-jacks my photography setup, I can’t be upset. I couldn’t resist snapping a picture. Isn’t she sweet? 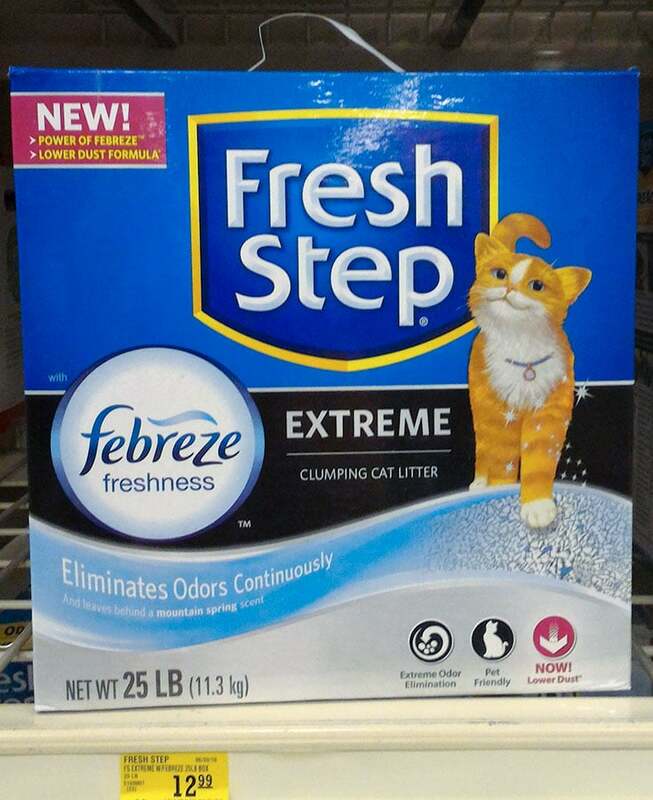 If you are unhappy with a smelly litter box, give Fresh Step with Febreze a try. Your cat will be thanking you and you will be able to breathe easy. It was created with your cat’s health and happiness in mind. Awe! Miss Kitty is so Pretty! We have a torie too. Great story about Miss Kitty. She is a cutie! 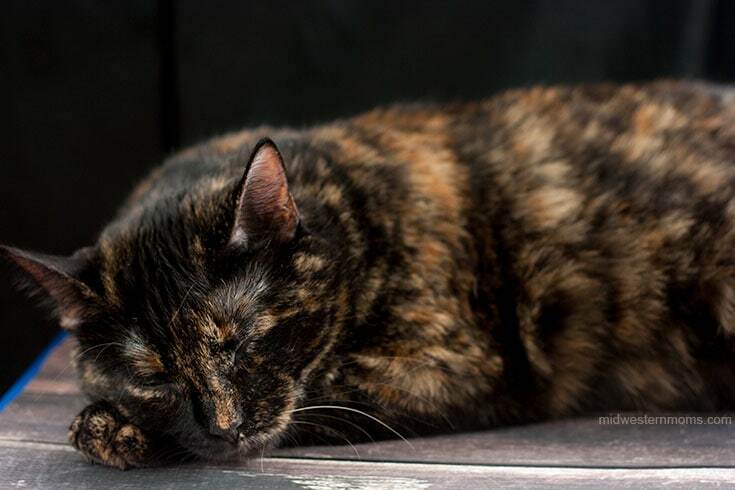 We have a tortie as well. We occasionally use Fresh Step.